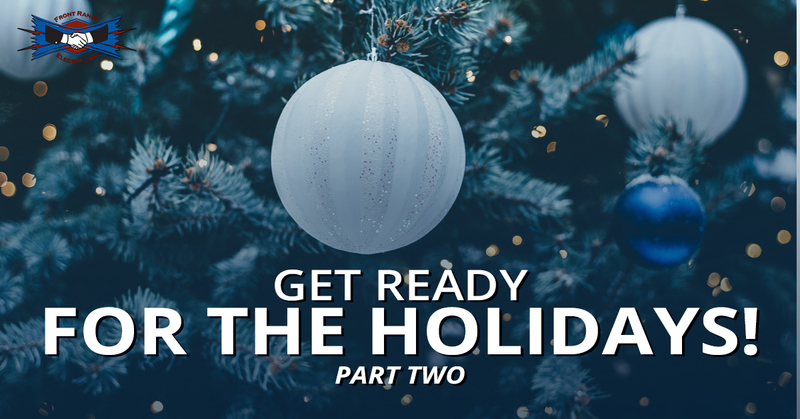 In our last blog, we began talking about how to get ready for the holidays! We know it may seem kinda early, but as we all know time flies and before we know it, snow will be on the ground and it will be a new year. Also, as we discussed in our last blog, it’s best, that if you need to upgrade or fix your electrical system or electrical panel, now is the time; don’t let the time to decorate for the holidays pass you by simply because your electrical system needs a little maintenance. Since we keep referring to our last blog, let us quickly review it. One of the first things you must do before you start draping twinkle lights around the banister is to check the cords of your decorations to make sure they aren’t frayed or damaged. Check the other electrical parts of your decorations as well. If there is damage, discontinue use. You should also check your extension cords that they aren’t frayed or damaged. Extension cords are usually inexpensive to replace so if they are damaged or only work some of the time, throw your old ones out and buy new ones. Test the outlets inside and outside your house: Plug an item into the outlet, press the button labeled TEST and if you hear a snap and the power is cut to the item plugged in then your outlet’s GFI is working. To have the outlet work again, press RESET. This week we are going to begin by discussing another basic solution to making sure that you have proper safety this holiday season. Though extension cords can be effective, they really are only meant for temporary use. If you tend to put up a lot of decorations, consider installing more outlets! This will not only help you to make sure that you are not overloading an extension cord, but also be sure that your home is equipped to handle the electrical load of your holiday decorations. Replacing smoke detector batteries is another means for holiday safety. If for some reason you do have an electrical issue or the cat knocks over a candle, having fresh batteries in a working smoke detector can help you know that if you have a fire, that you and your family will be safe and that you will be able to put it out before too much damage occurs. Also, check your outdoor lighting to make sure that it is functioning well and that you have fresh working bulbs in your lights. Checking to make sure your lights are working will help you have the security and safety that you need when it is dark outside and to know that the electrical system that powers your lights is working properly. We hope that you will have a wonderful rest of your summer and fall, be sure to follow our blog for more holiday safety tips and other related topics! Need an Electrician in Colorado Springs? Is your Colorado Springs home ready for the holidays? Think you may need an electrical panel upgrade or simply want more outlets to make your Halloween decoration scene of epic proportions? Call Front Range Electric! We are the local electricians that can not only help you with simple repairs, but also with full rewiring projects. Visit our website to learn more about how we can help you have a safe and happy home all year round.